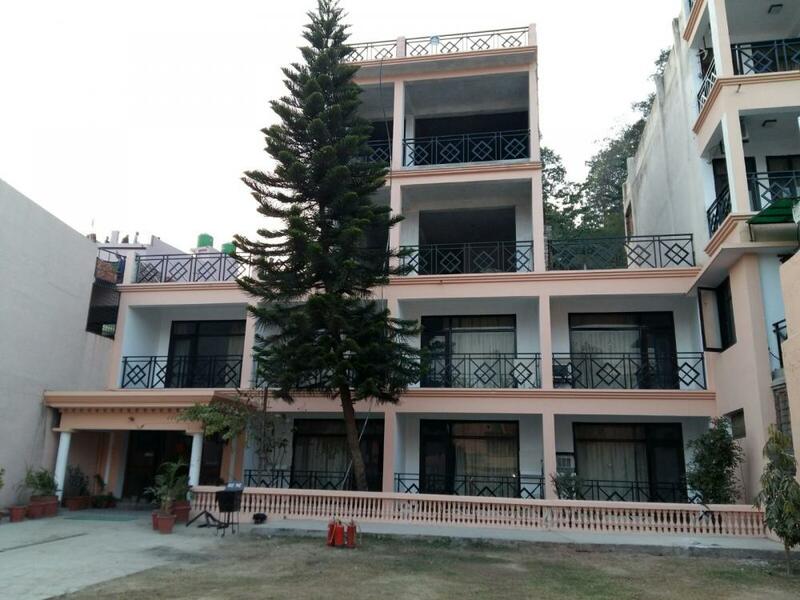 ​In the north Indian state of Uttrakhand, district Nainital situated One kilometers from Ramnagar, lies an eco- friendly Hotel in Corbet City- ” The Corbett Inn”. The Hotel derives its name from the word famous – Jim Corbett National Park. The hotel touches the forests of Corbett National Park all along its entire length on the north eastern boundary, contiguous to the forests of the National Park. 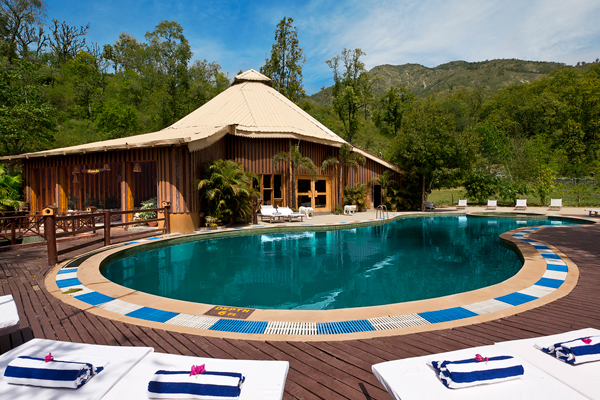 Rated as the best Hotel in Jim Corbett national park, as per the guest reviews. Our endeavor has been to always exceed the guest expectation of the well-deserved title. We invite you to experience various adventurous and relaxing activities and the Corbett national park have to offer. You can choose to explore the mesmerizing jungle in an elephant safari or a jeep, drive through the jungle to visit the local neighborhoods, or spend your day at our eco-friendly property. 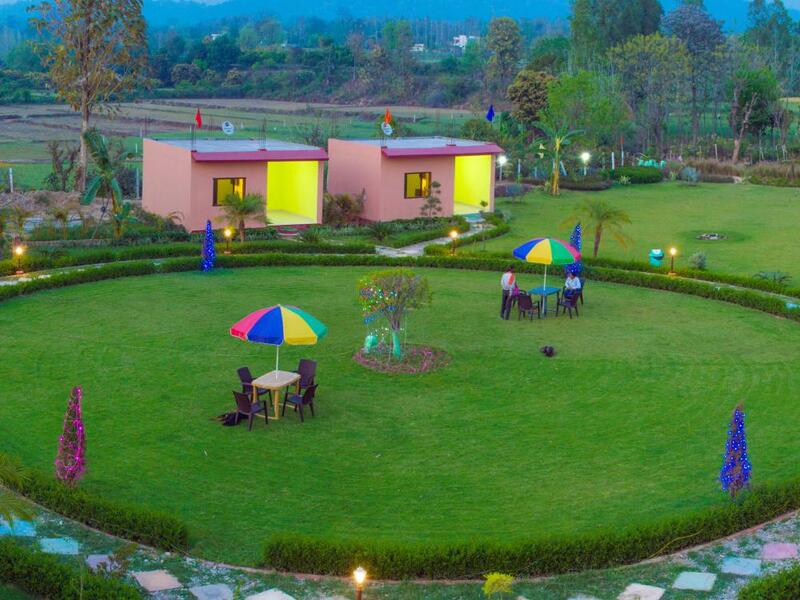 Corbett Wild Iris Spa & Resort, Ramnagar, is a resort situated in the midst of Corbett National Park. The resort is located near village Kyari Kham in Ramnagar, Uttarakhand. We offer a rejuvenating experience to chafe the stress of our guests. Our Jungle cat Deluxe Cottage, Leopard Duplex, Tiger Suite and Tusker Suite Rooms, offer you an incredible experience of stay coupled with our refreshing spa, swimming pool, and restaurant facility. We at Corbett Wild Iris Spa & Resort brings you a pleasure of discovering true nature with its rich nature surrounding ambiance. 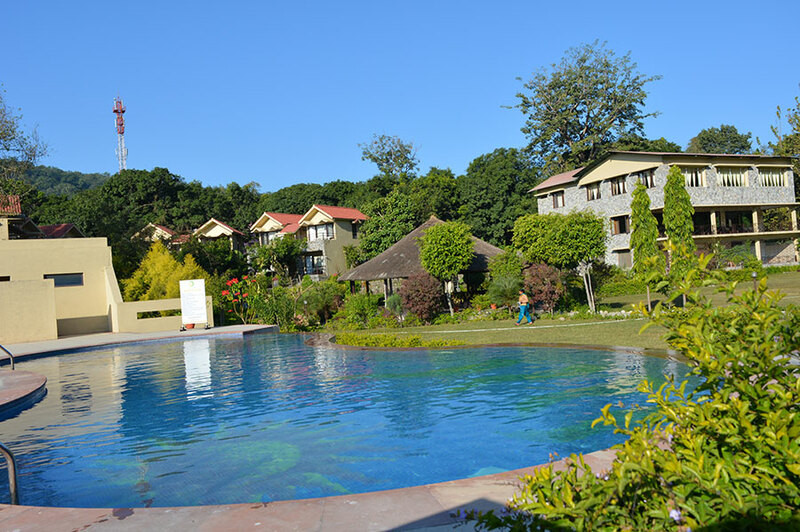 Sunrise, a eco-friendly resort surrounded by lush greenery and scerenic view in the lap of nature. It is all about indulging in nature and peace. 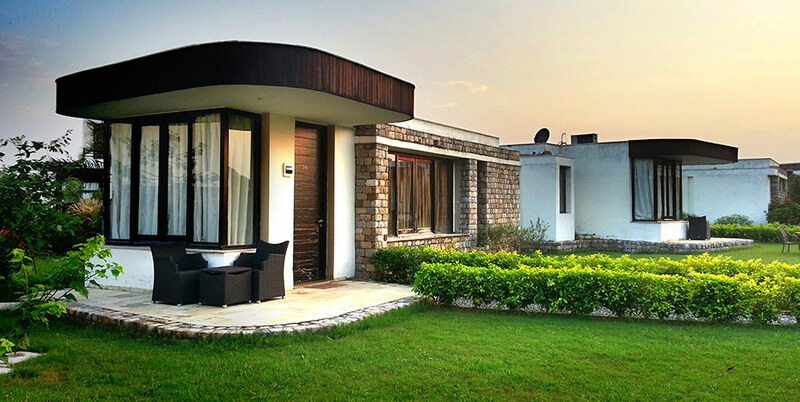 Corbett sunrise resort is spreaded over 5 acres in the Jim Corbett National Park. Our rooms divided into three categories namely sunrise villas, jungle view cottages and pool view suites. All our rooms are equipped with private sit out to enjoy nature utmost. We at Corbett sunrise resort, putting our best efforts to touch our guests with a splendid personal experience. 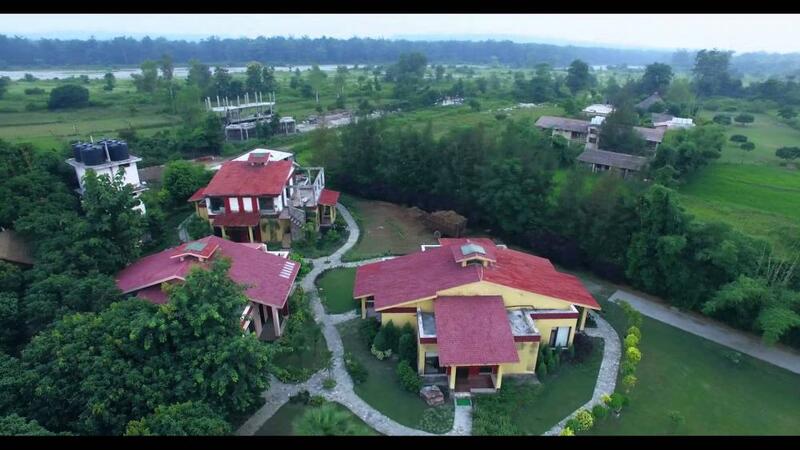 Pratiksha Hotels came up with its new resort, named pratiksha river retreat, jim corbett national park, uttarakhand, india. a luxurious and eco-friendly resort spread over acres of lush green grassland with large number of mango trees, rich flora, exotic mixed shrubs which add on to the lively picture of nature's blessing 'River Retreat' . river retreat offers variety of staying options including luxury cottages, delicious snacks & food and various indoor and outdoor adventure activities , swimming pool, conference hall, elephant & jeep safari, bird watching, wildlife movie shows ,folks dance ,sight seeing,custom tours and much more … Pratiksha River Retreat is a perfect riverside resort to rejuvenate mind, body and soul. You may also join in the early morning Nature walk along with the Kosi River with the help of our resort naturalist, when the silence of the wild is broken only by the sweet voice of birds. The Rangers Reserve was created on a virgin hill where nature still exists as it did for centuries. Every care was taken to maintain ecology by not cutting even a single tree and enforcing a seamless blend of design, luxury and topography, so that man could view wonders of the wild exactly the way nature created it. Our belief that we live on land leased from nature led us passionately to preserve the natural heritage in difference to our love for flora and fauna of the region. That is why we dedicated this marvelous home to the nature, to which it belongs. As you take the diversion on the rugged terrain leading to the resort, it is dramatic transformation into dream world of quite luxury, right amid the wildlife reserve. Wake up and take your steps in the beautifully designed haven of peace and tranquility. The Rangers Reserve stands majestically, all by itself. It's only neighbor is the nature all around, as far as your eyes travel. Home to seven luxurious cottages, all overlooking the riverbed and green sylvan forest. The resort boasts all the features of an exceptional jungle retreat - beautiful setting, excellent cuisine and abundant birds & wildlife. All suites are fully equipped, complete with air conditioning, double beds, en-suite bathrooms, private viewing decks. Coated Tin roofs, wooden and stone finishes complete the picture of an exclusive getaway. Each cottage has its own private lawn , ideal for private game viewing as well as relaxing, reading and soaking in the warmth and vibrancy of resort, combined with an intimacy and seclusion makes this an ideal Jungle retreat for friends, families or small groups. Experienced and dedicated staff of resort ensures that each person’s need has been fulfilled in a professional way. Our food is delicious. Meals are served on fine Indian Pottery. You can even tailor your own menu with our Executive Chef. We are boutique, we are personal, we are spread over 7 acres, we are The Golden Tusk. The Golden Tusk is all about celebrating wildlife, nature, peace and a life away from city. We are#RetreatInCorbett destination based out of Jim Corbett, Uttrakhand. A landscaped estate, nestled at the edge of the reserve forest, on the banks of river Dhela, we have a well appointed accommodations, multi-cuisine & specialty dining, a wellness centre, gamut of recreation facilities & specially designed excursion itineraries offering our guests a complete getaway experience. We have 6 types of suites and cottages, designed specially for guests who love wildlife and luxury.